Submerging your passion into your lifestyle as you tackle the urban grind. When your hitting the grind and on the job we always like to be reminded of something that keeps us going! Our Passion! 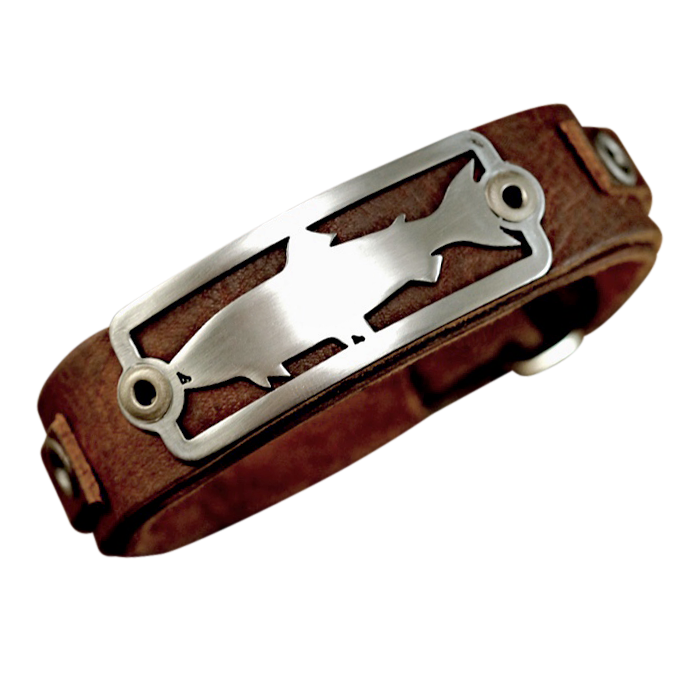 Wearing the Illusive mysterious steelhead fish helps us identify what is precious to us! And gives us something to look forward to as the weekend approach us. But you don’t need to be a steelheader to wear this handmade USA top grade quality wearable piece when your away from the river. 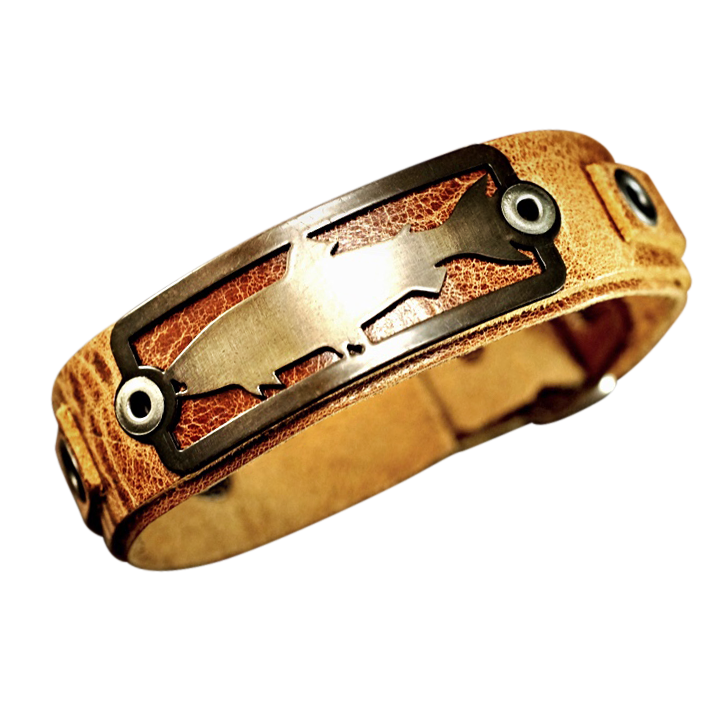 Made for anyone and anybody loving the outdoors of nature and wild rivers in it's purist form. 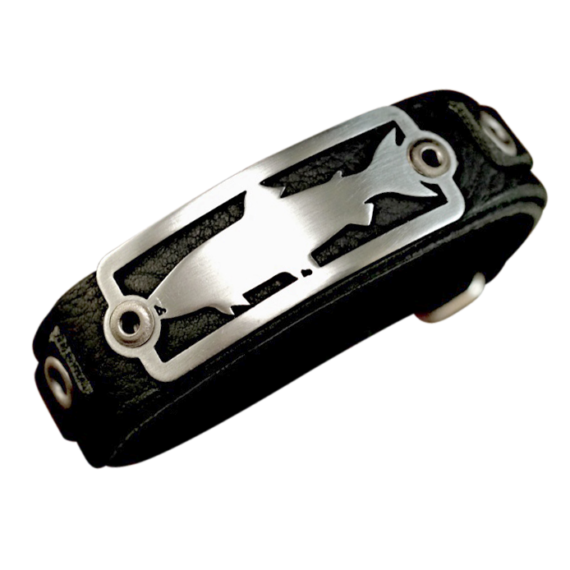 Metal badge mounted on .80” leather cuff. Accented with leather and rivets on both sides of the badge. 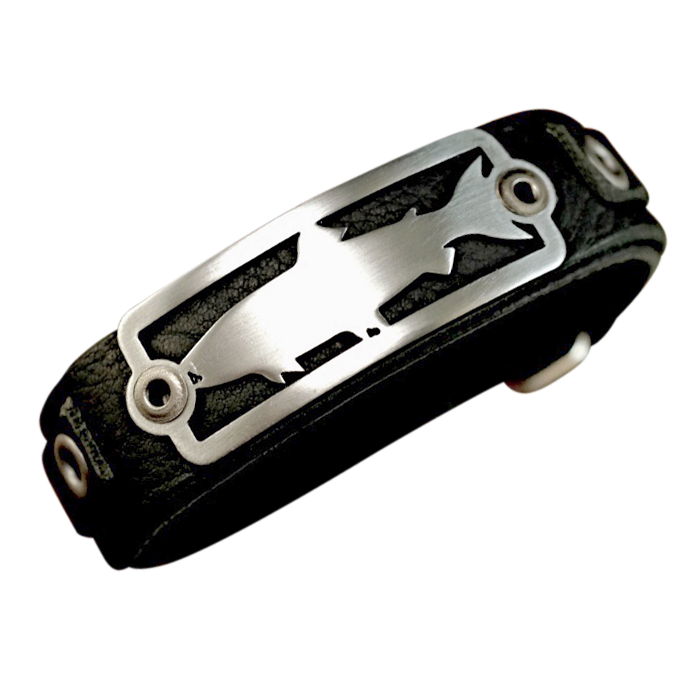 Fastened with ‘just right’ adjustable sizing closure to size down to 6″ or up to 8″ wrist.